Alawiye Oluwatobiloba Kolawole(Born 16;September ..) He’s a stone throw from Ogun State ODOGBOLU L.G.A. He starts is academic carrier at God’s Own Pry Greater Access Private Secondary Sch and her university in LASPOTECH Where is get the talent of composing song, singing and songwriting. 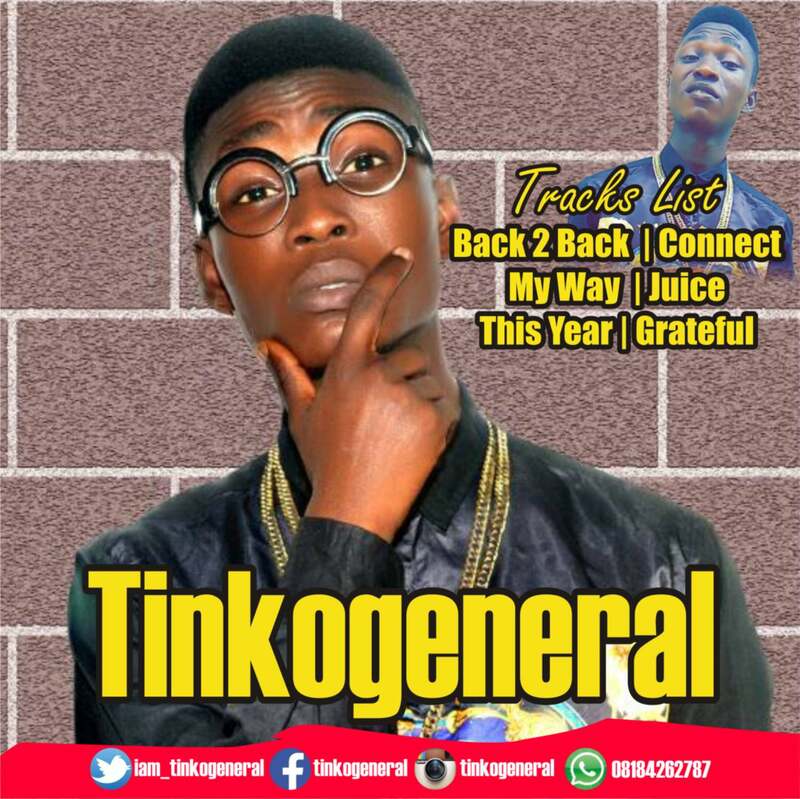 He's known as Tinkogeneral..(Stylized as tinkoG) is a Nigeria singer, songwriter, performer, fashion designer.. He started music at the age of (Ten 10)..With the choir at church in is tender age.. He manage to record tracks at age 17 ..and released tracks titled: [Connect, Juice, Grateful, My Way, This Year Back 2 Back] and collaboration with is fellow friends..at age 18..